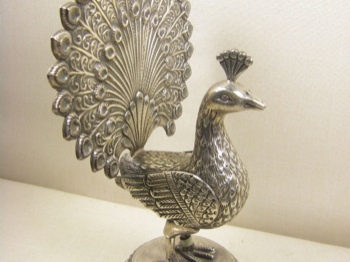 This sterling silver peacock stands 8.25" high and 5.5" wide. 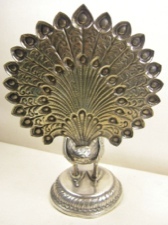 It is handmade in India from wax mold and handstamping. 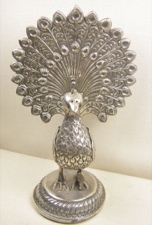 This has wonderful detail and is a beautiful one-of-a-kind item. A special addition for any collection.